The Cubs Academy meet every Saturday from 10am to 11am in St Kilians School. 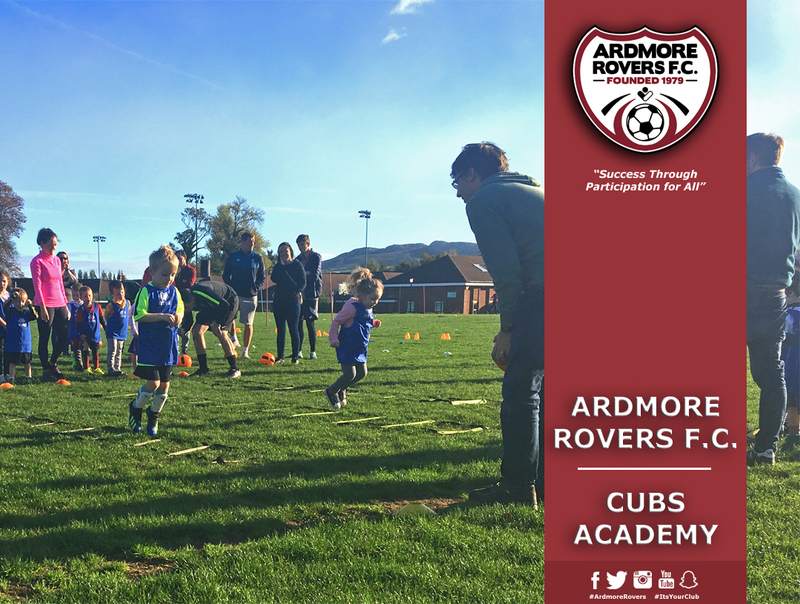 Cubs training takes place on Saturday mornings where all boys and girls born in 2010 to 2014 are welcome to join in and learn basic football skills with our qualified coaches. The children are split into groups with children born in the same year, and our coaches do various football skills and exercises with them, to learn the basic skills and rules, but also to have some fun learning. The children can wear football kit or if not, some shorts and a sweatshirt are fine along with either football boots or trainers. The emphasis is on fun, so that the children increase their footballing skills with a smile on their face, in a safe and friendly environment! Feel free to come down and join in. Just ask for Niall Benson or David Byrne, who are the Cubs Coordinators.